This series provides a brief overview of Client Side Rendering for List Views (often referred to as JSLink). Basic extension points and examples are included. The goal of this series is to get developers unfamiliar with this programming model quickly up to speed. You can download or clone the repository directly from that site. You can also view the code directly on the site. csrShim is not used in this example and is not required. In the following examples, we will be targeting on premise SharePoint 2013 using SharePoint Designer 2013. You can override one or more parts of the rendering of your list view. You do not need to specify all the following, but be aware that specifying a single template will use the default render for the other templates (this is different from the OOTB view). The CTX object contains all the information about your list view – including all the returned data. This object is provided to the event callback functions and to any template functions. 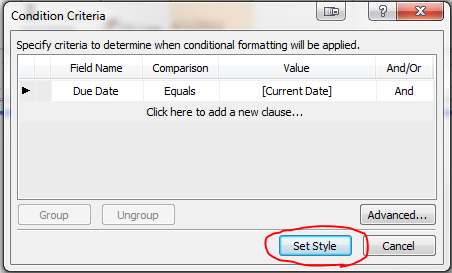 In standard CSR, several properties (like DisplayName) can be very helpful for dynamic displays. csrShim only provides the Name (internal name). There are 2 events (OnPreRender and OnPostRender) where you can provide callback functions. To have a callback function executed BEFORE your templates are applied to the list data, you can specify an anonymous or named function to the OnPreRender property of your CSR object. The PreRender event can be helpful to declare any necessary SOD dependencies, verify existence of elements, contact additional web service, etc. Refreshing the page with the developer tools visible (F12) should show our message. If you don’t see a console message, verify the JS Link property is pointing to the correct page. Also note that console messages logged before the developer tools were open (in IE) will not show and you may need to refresh. To have a callback function executed AFTER your templates are applied to the list data, you can specify an anonymous or named function to the OnPostRender property of your CSR object. The PostRender event can be helpful to attach events or run any other code dependent on your HTML being in place. Refreshing the page with the developer tools visible (F12) should show both our PreRender and PostRender messages in the proper order. There are several templates that can be specified using the Templates property of your CSR object. You can specify simple strings, “magic” strings, and full functions that return a string. 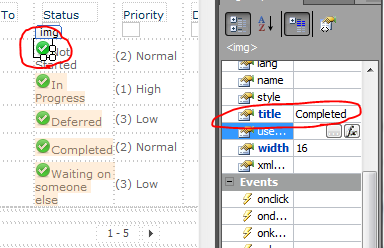 Note – The Footer template is often misused to close any open tags from the header or item templates. This will result in invalid HTML. Although most modern browsers will auto close these open items for you, this may cause hard to track down display issues! The Footer template is rendered inside a div element outside the hierarchy of the Header and Item templates and is designed for standalone paging. It can be used for other things, but it is separate from anything generated in the other templates. In the most basic forms, templates can be specified as simple strings (as in the example above). Additionally, when specified as strings you can use special notation to have “magic strings” resolved automatically. In nearly every case you will be better supplying a function to the template properties (even for simple strings) since this will give you more flexibility, better readability, and easier extensibility. You can specify anonymous or named functions (named functions are best practice coding) to each of the template properties. These functions will be provided with the CTX object as the parameter. Although it would be better to use an external stylesheet, for this simple example we will be declaring an inline style block to set our CSS for the rest of the list view. We will do this in the header. Additionally, we’d like to show a title box. We’d like to show each of the items as a box showing the Title and the picture of the Person field. Additionally, we’d like to color the box based on the value of the Color field. When someone clicks on a box, they should be taken to the user’s profile page. Lines 61-66 is the building of the profile picture image. In standard CSR, a person field is returned as an array of objects with additional properties about a person. One of those properties is the picture property which is the URL to the profile picture for a given user. Additionally, if your My Site web application is hosted at a different domain (even sub domain) users using machines not joined to the domain (IE iPads) may be prompted to log in for each profile picture you display. Lines 69-74 builds our actual HTML for each item. This is not a good idea and is only used as an obvious example, generally you should not directly incorporate values into markup like this. 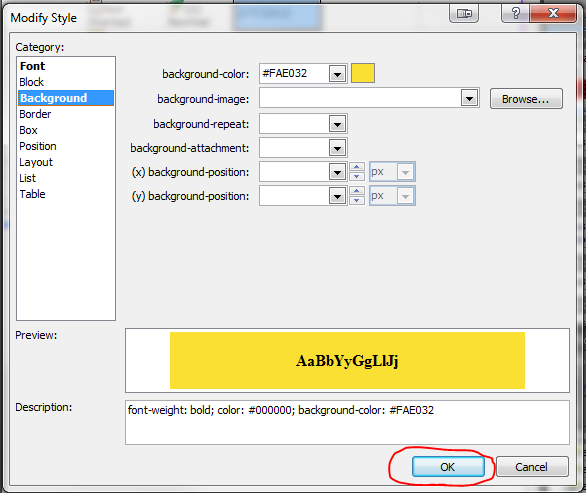 It would be easy to break simply by adding a choice for a color that is not one of the named HTML colors. 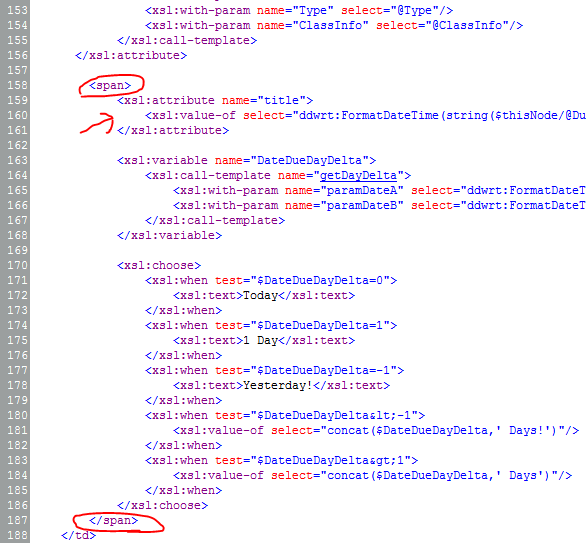 If this is the last item, we close the wrapper divs left open in the header template and return those after the item. We’d like to add some instructions to the bottom to remind people to click on these boxes. Line 85 builds standalone HTML to be used as our footer. We provide another wrapper with the halloffame class so that our global styles still get applied. Then we give an unnecessary message encouraging clicks. By default, you have a very OOTB view of the list as a table with column headers and not a lot of excitement. So, let’s customize it! Line 1 is the declaration of an immediately invoked function expression (IFFE) that will ensure our code will not be placed in the global namespace. This convention should always be used with JS Link files. Lines 3-6 is the beginning of our template object. Soon we will be adding more properties to help determine how the list is formatted. 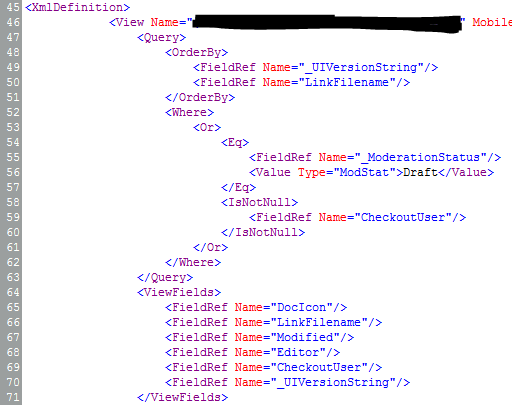 For now, we’ve specified the BaseViewID and the ListTemplateType which is how we target the Custom List (type 100) so that SharePoint knows what data to provide us. Line 8 uses a Script On Demand (SOD) method to only call our function once the clienttemplates.js file has loaded and the SPClientTemplates object is ready to be used. 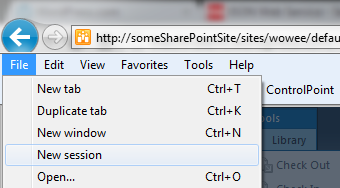 This is essential to prevent our script from executing before SharePoint is ready. Refreshing at this point will still not apply anything since we did not provide any Templates just yet. Versioning is a great feature in SharePoint but can cause administrators headaches when it comes to something like branding or other resource files. I’ve previously shown you how to automatically publish a major version and to approve documents as your solution deploys. In a perfect world you’ll never touch these files except through your solution. However, sometimes you’ll need to quickly fix something or tweak something and you end up in a common situation: You can see the change but no one else can. This happens when versioning is turned on and you either haven’t published a major version (versions below 1) or the changes you’ve made are in draft state (ie 1.1 instead of 2.0). Tracking these down can be frustrating since everything works for those with the right permissions. So here’s a quick view to add to your library to help you identify these problems. We’ll be filtering the library on 2 columns: Approval Status and Checked Out To. First thing to do is to create a new view (I’ve named mine Unpublished). Choose whatever columns you want but some helpful ones are Type, Name, Modified, Modified By, Checked Out To and Version. You’ll also want to scroll down to the Folders settings and choose Show all items without folders. You’ll notice that your view is now showing everything in a giant list because we didn’t apply any kind of filter. The reason for this is that the browser based view editor won’t let us select either IsNotNull as our comparison type or the Approval Status column. 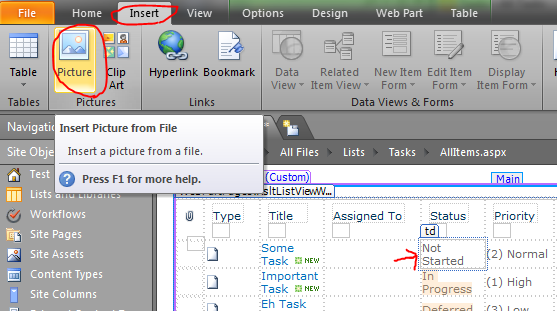 Fortunately, both of these things can be done very easily in SharePoint Designer. 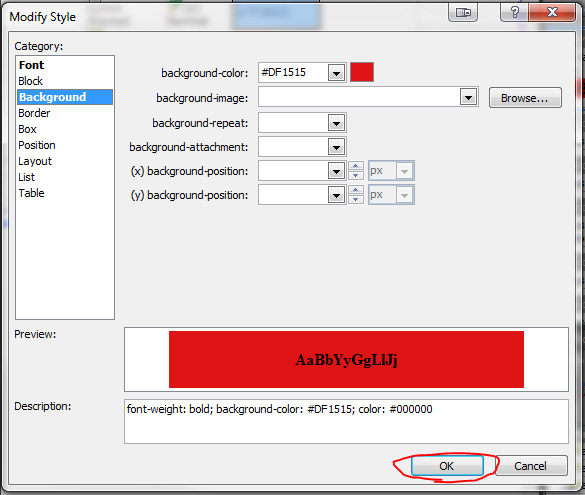 So switch to the Library ribbon and choose Modify in SharePoint Designer (Advanced) from the Modify View dropdown. What our view is doing is showing any files that are checked out (so the CheckoutUser column is not blank) or that don’t have a major version. For whatever reason Microsoft won’t give you easy access to the _ModerationStatus column unless your library is requiring approvals, but we can still use it. When it’s set to Draft then it’s a minor version. Save and refresh in the browser and you should only see those documents that may be causing you problems. Check them in or Publish a Major Version as needed and things should be good. We’ve found this simple view to be very helpful, hopefully you do as well. 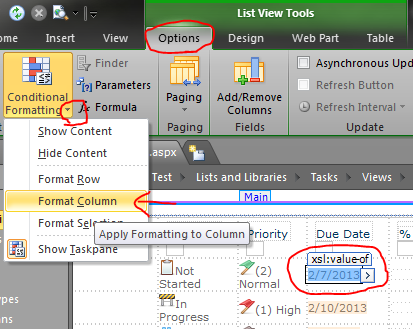 Every list in SharePoint automatically comes with two date columns (Created & Modified). Often times other date columns get added in there and it can be nice to format these to make the lists more intuitive. Out of the box you can format these a few different ways (mostly whether to show the time or not). With a little XSL you can use the ddwrt:formatdatetime function to really customize things (you’ll see a couple of examples of this below) – but can’t we do more? We’ve greatly improved the readability of this list with some quick icons as demonstrated in my previous post: Showing Icons in a List View, but those due dates don’t really mean much at quick glance. We can do a couple of things to make these instantly understandable. We can add some color to indicate when the due date is near and/or missed. Even more powerful is showing how much time is left until the Due Date. Flagging these dates with some quick color is pretty straightforward using SharePoint Designer. 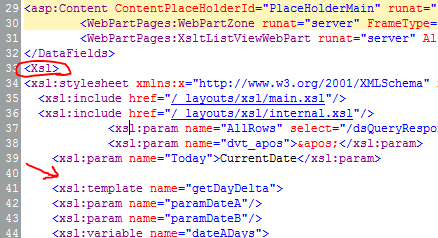 Designer will be generating some XSL and we’ll take a look at it at the end of this section, but we’ll be using the wizards and so no knowledge of XSL will be needed. With Due Dates there are 2 things you want to know: which ones have been missed and how much time is left. Quick color indicators are very effective in drawing the eye to important information and the red and yellow rules we put in place above help quickly answer the first question. So how do we communicate how much time is left? Calculated columns are no help here (you can’t use Today and even when you hack it, they only get evaluated on modifications, NOT on view). The answer is some XSL tweaking. We won’t be using the same wizard-like interface as above, but I promise the type of XSL we’re going to be doing isn’t too scary. In lines 1-6 we’re calling the getDayDelta function from the DateTemplates and storing the value in a new variable called DateDueDayDelta. This value is the number of days between the first parameter, Due Date, and the second parameter, Today. We’re using the ddwrt:FormatDateTime function to ensure the parameters are in the form expected by the template. We’re also using the ddwrt:Today() function to get the current date. WOO HOO! That’s a huge improvement – but it could be better. Although I think it makes more sense to see the dates as relative for quickly glancing at the list, I don’t like losing that information altogether. So let’s put it back in as a tooltip. You can quickly see how stacking these techniques can start to make lists much more intuitive and useful. WOWEE! Displaying icons in a list view is a great way to make things immediately more understandable, look awesome and make things oh so pretty. It’s a pretty common request and there are some interesting methods out there to get it done. There’s everything from deployed solutions to give you specialized columns to throwing some magical jQuery on the page. 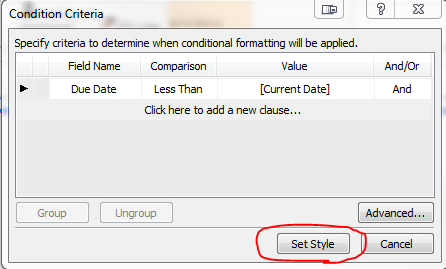 I personally prefer to keep things simple with some quick use of conditional formatting in SharePoint Designer. Technically this solution uses some XSL which I’ll show you at the end, but you don’t need to know anything about that to get it to work. A good example of a list this works really well for is a Task list. 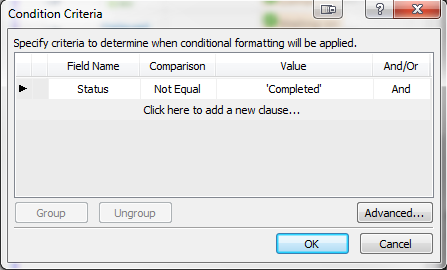 I most often show icons based on Choice columns (since there’s a nice one-to-one mapping between icon and choice value), but you can easily adapt this solution to apply icons based off of other calculations or combination of columns (for instance, showing a frowny face when a due date has been missed and the status is not completed). Right away you’ll notice there’s at least 2 easy targets for icons. Both the Status and the Priority columns would really get a big upgrade if turned into icons. Now that the icons are uploaded, it’ll be easy to select them in Designer (You can also have designer upload them directly from your computer while you’re working but there is a bug that sometimes keeps the path relative to your machine rather than the picture library). That’s it, so super pretty! I’d recommend taking the actual text values away (you’ve got them in the tooltip) or at least adding some spacing. XSL isn’t nearly as scary as it seems, but Designer does a pretty good job of wrapping up a lot of basic formatting and conditional checks with some nice wizards – so why not use them? I try and keep things safe by using a separate admin account for when I need special access in SharePoint. This really helps with testing as well. By having a separate account as the Site Collection Administrator I’m able to move my regular account around in the SP groups to test permissions. I highly recommend doing this. It ensures that you can see sites you are working on as an end user will, while still providing you an account that can do all the things you as an administrator need to do. I often will be working on the site using my admin account and when I’m ready to test the permissions with my regular account I simply start a new session in IE (File > New Session). This allows me to have an IE window on each monitor using totally different sessions at the same time. If you don’t see the File menu, just press Alt. 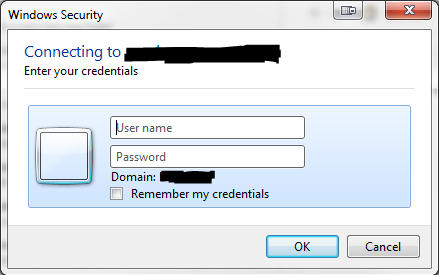 Generally when I’m editing a site in SharePoint Designer 2010 I’m prompted for credentials since only my admin account has enough access (Designer or above) and I’m logged into my machine with my regular account. This works great. 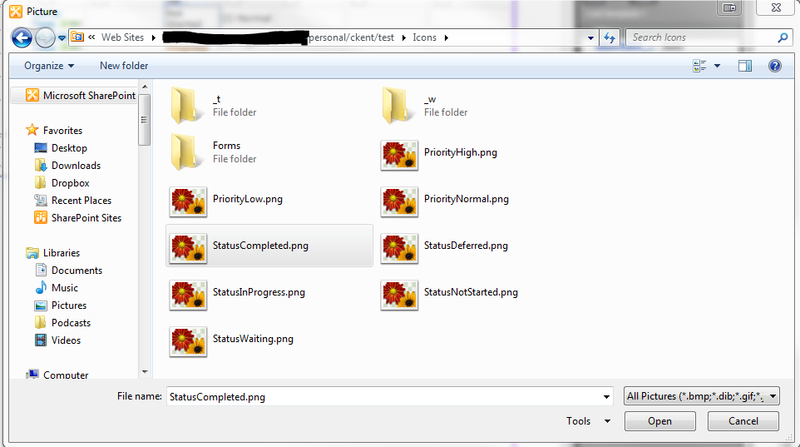 But what happens when my regular account has enough permissions to use SharePoint Designer? Or maybe I’ve got some other account I need to switch to? By default, SharePoint Designer will only prompt you for credentials to a site if the user you are running as doesn’t have adequate permission. For whatever reason the “hold shift and right-click on the shortcut to choose Run As…” option isn’t available in Windows 7 for SharePoint Designer 2010. You can find some advice about creating batch scripts to get around this, but there’s a really simple solution to the problem. Everything will close and open again using the newly specified credentials. Don’t tell any of your coworkers that you had to find this solution on the internet. Just show them the button and make them feel stupid for not having known about it. Hop on your flame covered Harley and kick a puppy as you ride off into the sunset. 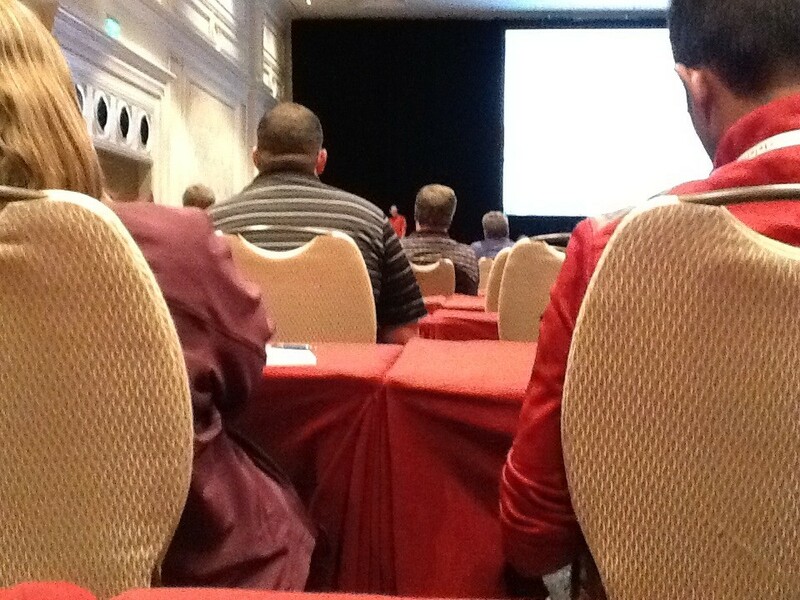 I just got back from DevConnections 2012 in Las Vegas, Nevada. I learned several things that the made the trip worthwhile and I’m glad I got to be a part of it. I choose DevConnections over SPC because I wanted to take workshops from a variety of tracks including SQL, .NET and HTML5. Choosing DevConnections also meant I didn’t have to go alone. There were several good speakers and I received plenty of swag (8+ T-Shirts, an RC helicopter, a book and more). 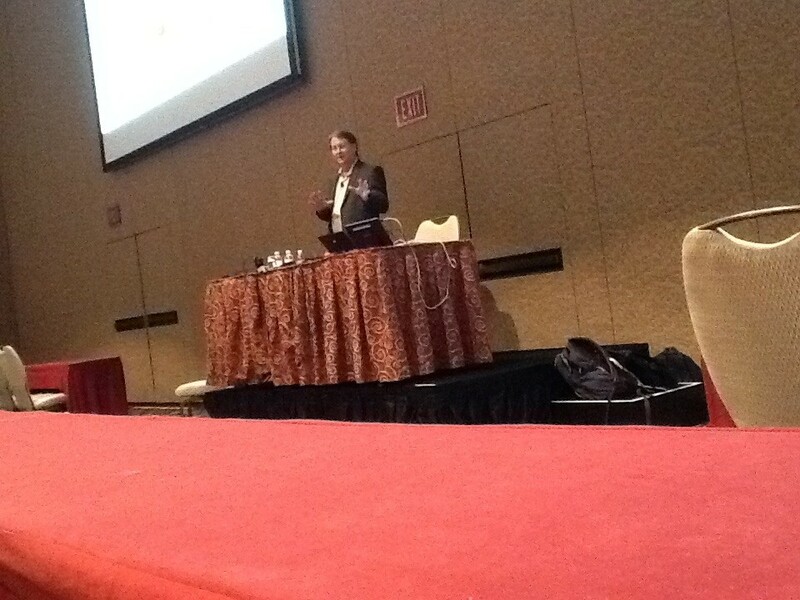 Not surprisingly, I enjoyed the SharePoint Connections track the most and Dan Holme was my favorite speaker. For all those that didn’t get to go I thought I’d share my notes from the sessions I attended and any insights I gained as well. My notes are not a total reflection of what was said, but represent things I found interesting or useful. Where Does SharePoint Designer 2010 fit in to Your SharePoint Application Development Process? SharePoint Designer is fine to be used in production (and in fact requires it in certain cases). However, there are things you can do to minimize the amount of work done in production. Just as in his videos, Asif was a great presenter. He was very personable and knowledgeable. The session ended up being less about when SP Designer should be used in your environment and more a broad demo of what can be done with Designer. This was a little disappointing but I learned enough tips and tricks that I really didn’t mind too much. Interestingly, some people in the audience asked about an intermittent error they’ve been receiving in SP 2010 for some Web Parts they’d applied conditional formatting too. This was almost certainly the XSLT Timeout issue and I was able to provide them a solution. Silverlight has lost to HTML 5 and we shouldn’t expect another version. This was obviously a recycled workshop from several years ago (he actually said so) that he added a couple of slides to. 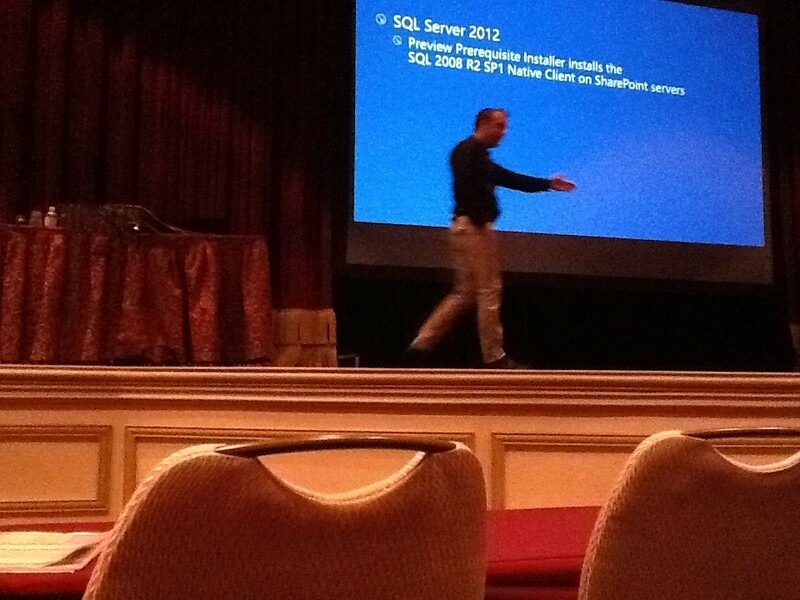 In his defense, he planned to show a WinRT demo but the Bellagio AV guys were unable to get the display working. Regardless it seemed more like a bragging session. He showed pictures of him with top Microsoft people, showed his company being featured in Gray’s Anatomy, and alluded to all the cool things he’s involved with that he couldn’t mention. This was pretty disappointing. I am already aware that .NET can do some pretty awesome things including some neat visualizations. I was hoping to get some actual guidance on getting started. Instead I got Microsoft propaganda from 3 years ago about why .NET (specifically WPF) is awesome. Tim Huckaby is obviously a very smart guy and has a lot of insight to share. Hopefully I’ll be able to attend a workshop from him in the future on a topic he cares a little more about. SL to SL: localmessagesender use SendAsync method. In receiver setup allowedSenderDomains list of strings. Use localmessagereceiver and messagereceived event. Be sure to call the listen() method!! Silverlight video player included in SP 2010/2013. 2013 has an additional fallback HTML 5 player. OOTB \14\TEMPLATE\LAYOUT\Ratings.js: ExecuteDelayUntilScriptLoaded(RatingsManagerLoader, ‘ratings.js’); RatingsManagerLoader is huge, see slides. Then loop through everything you want to attach a rating to. SP 2013 has geolocation fields. Requires some setup & code. He has app to add GL column & map view to existing lists. AppParts are really just iframes. Connections work different. Not designed to communicate outside of app. New GeoLocation columns in SP 2013 will be really cool, but adding them to existing lists is going to be a pain. Todd had a lot of good information and you could tell he knew his stuff. Unfortunately he has a very dry style. Regardless, I enjoy demos that show actual architecture and code and there was plenty of that. I do wish he’d updated his demos to use HTML 5 as he recommends. It’s very frustrating to hear a presenter recommend something different and then to spend an hour diving into the non-recommended solution. Additionally, although I prefer specific examples (and his were very good) I prefer to have more general best practices/recommendations presented as well. But despite all that he gave a few key tips that I will be using immediately and that is the primary thing I’m looking for in a technical workshop. 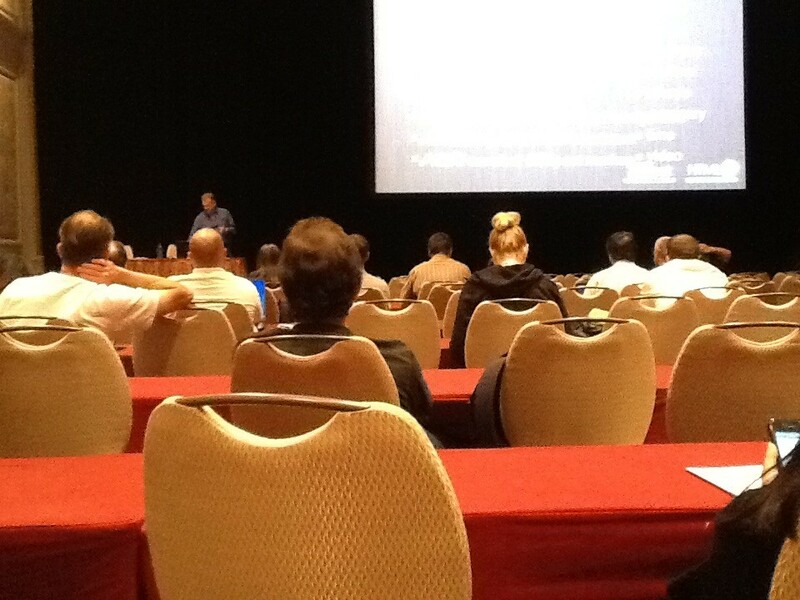 I enjoyed Todd’s other session (see above), but this one was too focused on SP 2013 to have any real practical value for me. Static values are shared with all instances – Even among derived classes! I really enjoyed this session. It was the most challenging workshop I attended despite it’s focus of dealing with things at the most basic level. Kathleen kept it fun (although she could be a little intimidating) and continued to surprise everyone in the room both with the power of .NET and the dangers of our own misconceptions. She pointed out several gotcha areas and provided the reasoning behind them. This was a last minute session, but it was also one of the best. ContentDB sizing: change initial size and growth. Defaults are 50mb and 1mb growth. Makes a BIG difference in performance. ContentDBs can be up to 4 TB. Over 200 GB is not recommended. Remote BLOB storage: SP is unaware. Common performance measurements are mostly inaccurate because they are based on single files. Externalizing all BLOBs is significant performance boost. 25-40%! Storage can be cheaper too but complexity increases. Using a SAN allows you to take advantage of SAN features (ie deduplication – which really reduces storage footprint). RBS OOTB is fine, but you can’t set business rules. Office Web Apps no longer run on SP servers in 2013. These are great, test on SkyDrive consumer. Nintex highly recommended over InfoPath. InfoPath is supported but unenhanced in 2013, likely indicator of unannounced strategy. AD RMS allows the cloud to be more secure than on-premise. Allows exported documents to have rights management that restricts actions regardless of location. Very difficult to setup infrastructure. Office365 has this which is compelling reason to migrate. Pee on a server LASERS! Upgrade to 2013 should be done as quickly as possible. Much easier than 7-10. Fully backward compatible. Both 14 & 15 hives. Remote Blob Storage is a good idea for nearly everyone – very different perspective than what I’ve previously been told! 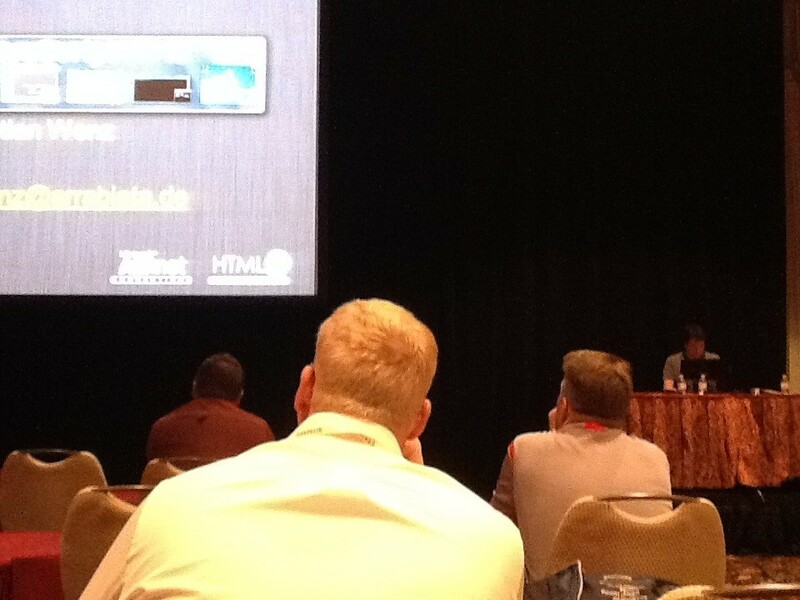 This session was full of great tips and best practice suggestions tempered with practical applications. This was exactly the kind of information I came to hear. Dan did a great job of presenting a lot of information (despite a massive drive failure just previous to the convention) while keeping it interesting. The only thing that was probably a little much was his in-depth explanation of Claims Authentication. 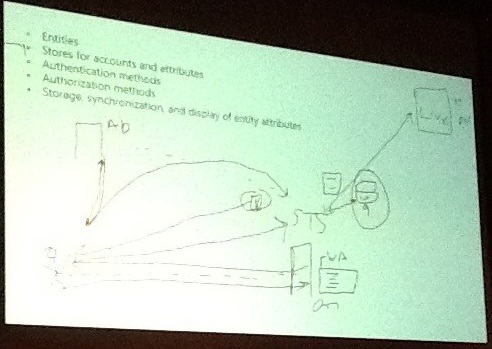 His drawings were pretty rough and his enthusiasm for the topic didn’t really transfer to the audience. Regardless, this was a great session. Keyword Query Language (KQL) needs more consideration as an effective query language for SharePoint. LINQ isn’t actually a great way to access SP data despite Microsoft’s big push over the past couple of years. This was a strange session. He didn’t go into enough depth about any one data access method to provide any real insight to those of us familiar with them and he moved so quick that anyone new to them would just have been overwhelmed. This session would have been better if he’d given clear and practical advise on when to use these methods rather than just demoing them. My guess is that he was trying to cover way too much information in too little time. However, I did enjoy hearing more about the Keyword Query Language since this is something I haven’t done much of and is rarely mentioned. Those tips alone made the whole session worthwhile. HTML 5 is going to dramatically change how we think of website capabilities – eventually. Although exciting, HTML 5 has a long way to go and several of it’s most compelling features have little to no support in main stream browsers. 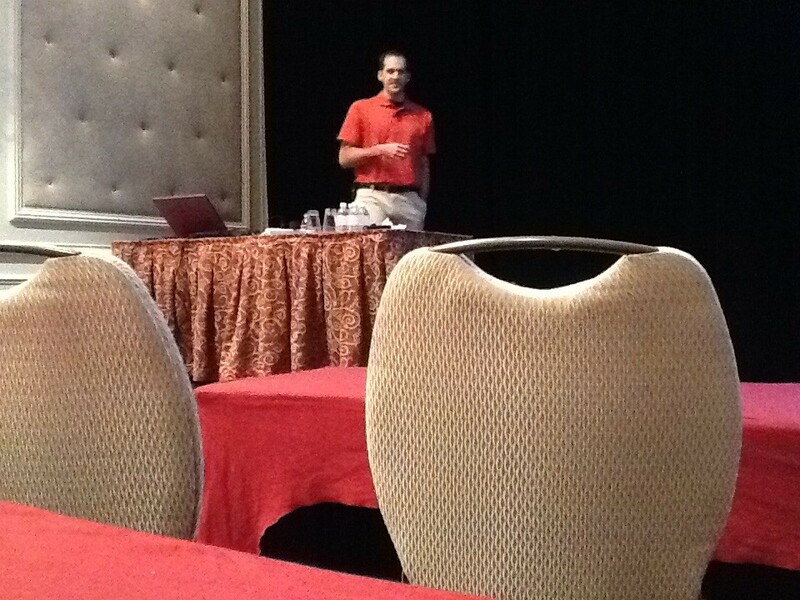 Christian did a good job of keeping the energy up about HTML 5 and showing off some of the cool features. Unfortunately he seemed to lose site of the big picture in favor of really detailed samples. I enjoyed the presentation but would like to have had more guidance about how to get started and what to focus on with this new style of web development. Lots of new elements – but they don’t do anything. They make applying CSS easier and allow search engines to parse through a page easier. Browsers that don’t understand new elements will treat them as divs – but styles won’t be applied. Modernizr allows you to use HTML 5 with automatic replacements in incompatible browsers. 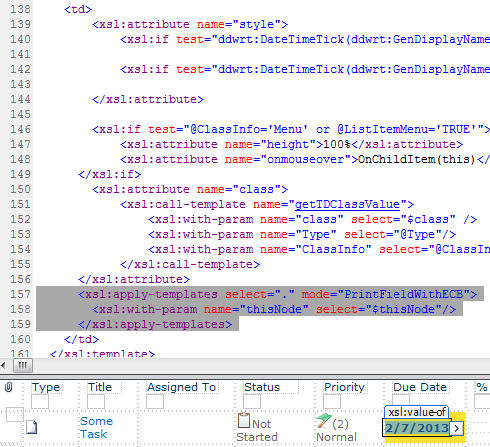 Uses JQuery and is included automatically with VS 2012. This stuff is not ready for the prime time except for mobile browsers. Modernizr fills in those gaps. This session really annoyed me. Paul was very knowledgeable and had a lot of information to share. Unfortunately, he was so busy bashing the technology we all came to see that it was hard to know why we were even there. When a User is a member of the default group for a site they get the links in office and on their mysite. Site Members is the default group by default, but this can be switched in the group settings. Suggests creating an additional group that contains everyone on the site and has no permissions, then this can be the default group. Separating Site Membership from Site Permissions by creating an additional group just for managing memberships is a great idea. 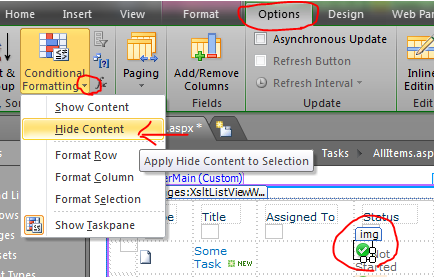 A lot can be done with SP 2010 but SP 2013 will add a few key features to make things easier (drag and drop on the browser will be awesome). The tip about site membership was worth the whole session. Additionally he reviewed a lot of the basics of content types and the content type hub. While this wasn’t particularly helpful to me, I can’t wait to get ahold of his slides for both this and his other sessions. 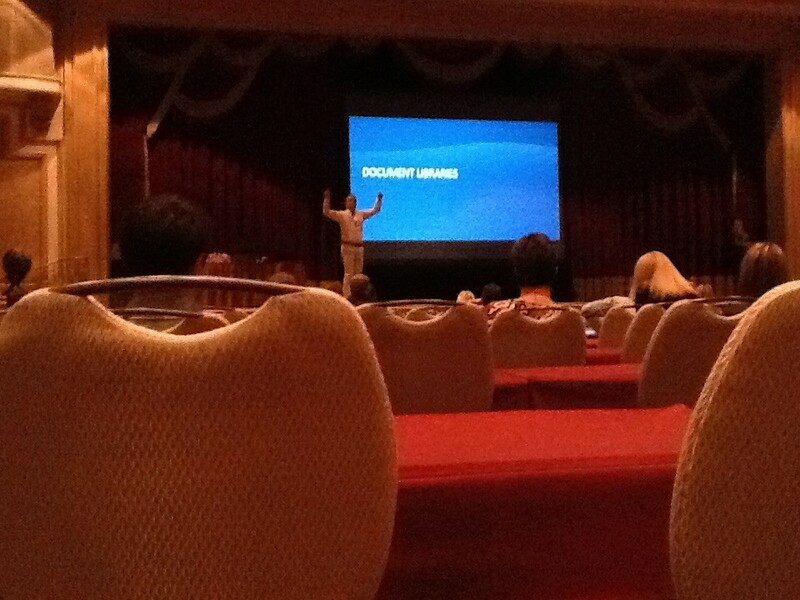 He had way too many slides for the amount of time he was given. 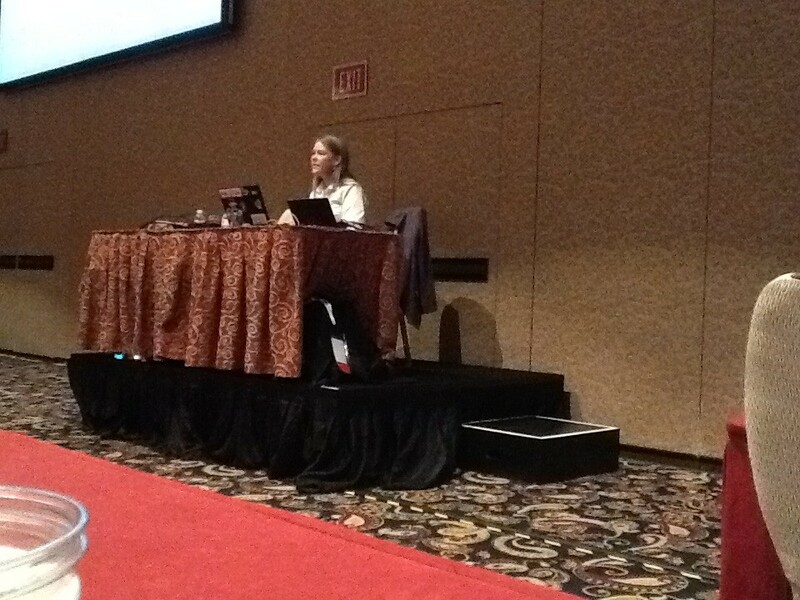 This session reminded me of how powerful SharePoint is at so many things. Document management is not a particularly exciting topic to me but it is one of the key reasons we are using the SharePoint platform. A review of the features available to maintain the integrity of our data and to simply the classification of that data was very helpful. 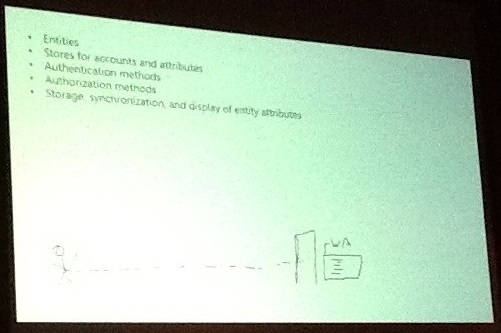 Navigation centric homepage, kept navigation as simple as possible. Only homepage had global navigation. No real branding (put picture on right and used a custom icon). They set the site icon to go to the main web page because it’s what users expected. Embedded documentation: Put basic instructions right on the homepage of team sites as needed. Also above some document libraries – basic upload and open instructions. Took out All Site Content link and all other navigation was on homepage of site. Sub sites had tab links to parent site. Lots of calendars. Conference room calendars were very popular. Didn’t use exchange for this in order to accommodate outside users. Used InfoPath lists and workflows to replace paper processes. Kept them simple but effective. Although not used in this case, he recommends Nintex for more advanced needs. Self-service help desk: printer/app installs, FAQs. Showed faces of team. IT Administration site: ticket system used issue tracking list highly customized with InfoPath list forms. Inventory lists in IT admin, also DHCP lease reports using powershell to dump that information. List for user requests. WF for approvals, then Powershell took care of approved memberships directly in AD. Don’t overwork, don’t over brand – It just clutters. Don’t over deliver or over train. Keeping global navigation centralized in a single location (without including everything) and providing contextual navigation as needed can keep things simple from a management perspective while still allowing things to be intuitive. As long as you allow users to easily return to the global navigation from any sub site (Using the site icon is very intuitive) there is no need to clutter every site with complicated menu trees. Request lists and Scheduled Tasks running Powershell Scripts can be used to create easy to manage but very powerful automation. InfoPath List forms can go a long way towards improving list usability by making things appear more intuitive and providing in line instructions. There are so many cool things in SP it can be easy to forget all the amazing things you can do using simple OOTB functionality. It is far too tempting to over deliver and over share when end users really only want to get their job done in the simplest way possible. 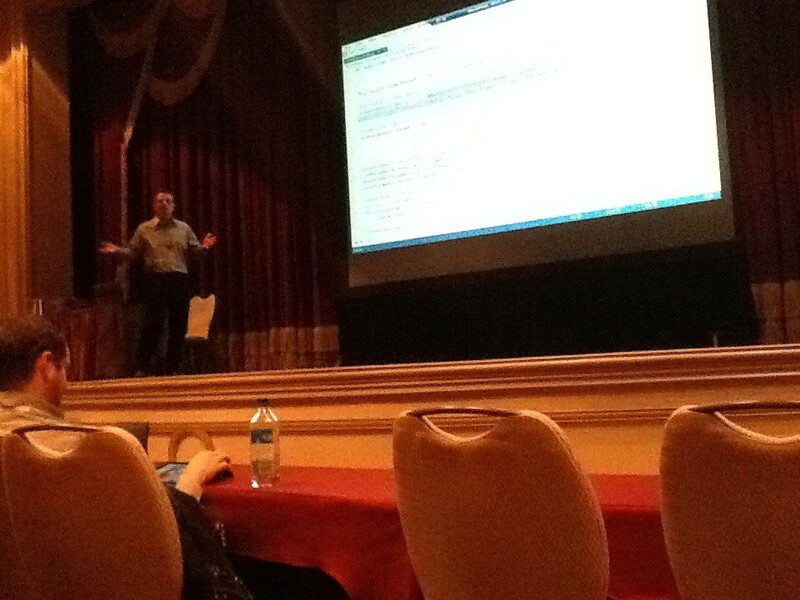 This was the best session I attended and made the entire conference worthwhile. It is unfortunately rare that you can see SP solutions in the context of an entire site. Seeing how SP was used to help manage one of the largest and most daring projects I can imagine was both inspiring and reassuring. Besides the several tips of things they did (many of which will soon be showing up in our environment), he was able to confirm several things we were already doing that we were a little unsure about. Even better was his focus on simplifying things. I get so excited about SP features that sometimes I overuse them or forget the real power of simple lists. It was a fantastic reminder that we are often over delivering and therefore complicating things that just make SP scary and hard to use for end users. DevConnections 2012 was great. 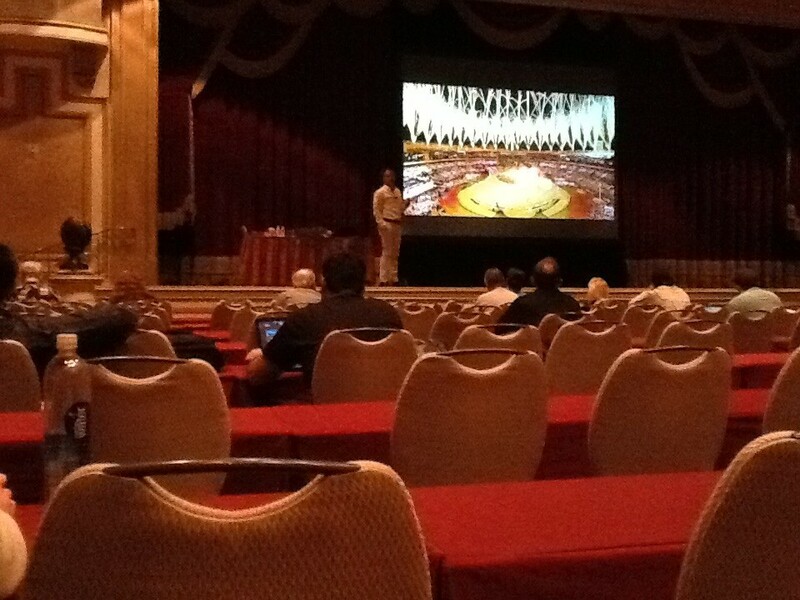 I had a great time in Vegas and I brought home several insights that have immediate practical value. Really, there’s not much more you can ask for in a technical convention.